The Free and Open Indo-Pacific has become one of the key concepts in Japan’s contemporary foreign policy. Foreign Minister Taro Kono has included it as one of his six priorities, and Japan has worked hard to convince other countries, including the United Kingdom and France, to endorse it. However, while the principled rhetoric about the Free and Open Indo-Pacific (FOIP) may sound appealing, Japan’s actions raise questions about whether the strategy is really anything more than window dressing for the pursuit of Japan’s narrow economic and strategic interests. The main aim of Japan’s FOIP is to promote connectivity between Asia, the Middle East and Africa. This means that the strategy is closely related to promoting free trade, infrastructure investment and development. 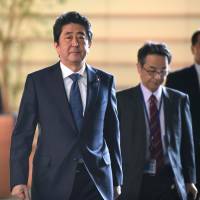 It is therefore no surprise that Prime Minister Shinzo Abe chose the Tokyo International Conference on African Development (TICAD) as the venue for his first major speech on this topic in August 2016. This economic focus makes FOIP distinct from “the Quad,” a fledgling security dialogue between Japan, Australia, India, and the United States. Japan’s enthusiasm for FOIP derives from the recognition that, due to its shrinking domestic population, Japanese economic growth will increasingly depend on access to overseas markets. However, the international rules-based order that has made free trade possible is under threat both from an assertive China and from a U.S. administration that appears unwilling to defend the very system that underpins its national prosperity. Washington’s negligence has therefore encouraged Tokyo to do more itself to uphold this rules-based order. A related motivation is that the Abe administration has identified infrastructure exports as a priority for reviving the Japanese economy. The development of a joint regional infrastructure scheme that is connected with FOIP could therefore assist Japan to expand exports to countries in Asia, the Middle East, and Africa, especially if Chinese competitors are excluded. It was announced in February that just such a infrastructure scheme is already being discussed by Japan, Australia, India and America. Although Japan certainly has its own motivations, FOIP is presented as being for the benefit of all. Specifically, a system in which international maritime areas remain a global commons, which are governed by the rule of law and not might-makes-right, will allow small and large trading states to flourish alike. Although denied by the Japanese leadership, FOIP is clearly intended as a competitor to China’s Belt and Road Initiative (BRI), which also seeks to connect Asia with neighboring regions via large-scale infrastructure projects. By emphasizing freedom and openness, as well as higher project standards, Tokyo is attempting to differentiate its strategy from that of Beijing. This rhetoric is also an attempt to give FOIP greater legitimacy, partially compensating for the fact that it is far behind the BRI in terms of financing and concrete achievements. There is no question that a genuinely free and open Indo-Pacific would be preferable to an initiative dominated by a single authoritarian state. However, to boldly claim a commitment to a values-based foreign policy is to invite a scrutiny that finds Tokyo wanting due to its ambivalent support for international law and democratic values. With regard to maritime law, while Japan has been outspoken in its criticism of China’s island building in the South China Sea, this has not prevented it from doing something similar at Okinotori, a small atoll located 1,600 km south of Tokyo. The Japanese government has spent over $600 million reinforcing and expanding the small rocks of the atoll in order to keep them above the water line. It now claims that Okinotori is an island and entitled to a 200 nautical mile exclusive economic zone — even though UNCLOS specifically states that only natural islands that can sustain human habitation will generate EEZs. Japan has demonstrated similar disregard for international law in its continuation of whaling despite a 2014 ruling by the International Court of Justice. This found that Japan’s supposed research program in the Antarctic was in violation of the moratorium on commercial whaling. Japan could also be criticized for its absurdist claim that there is no territorial dispute over the Senkaku Islands, which are claimed by China as the Diaoyu Islands. The reason for this is because Tokyo does not wish to engage in negotiations. Were the Japanese government really committed to the international rule of law, it could invite China to take the case to the International Court of Justice. In fact, this is precisely what Japan demands of South Korea with regard to the disputed territory of Dokdo/Takeshima. Tokyo’s support for international arbitration is therefore highly selective. Likewise, it is hard to take the Japanese government’s commitment to democratic values too seriously given Abe’s chummy relationship with President Rodrigo Duterte of the Philippines, whose “war on drugs” has left more than 12,000 people dead. Also, while the United States has cut aid to both Thailand and Cambodia in response to democratic backsliding, Japan has continued to court these countries for both political and economic reasons. 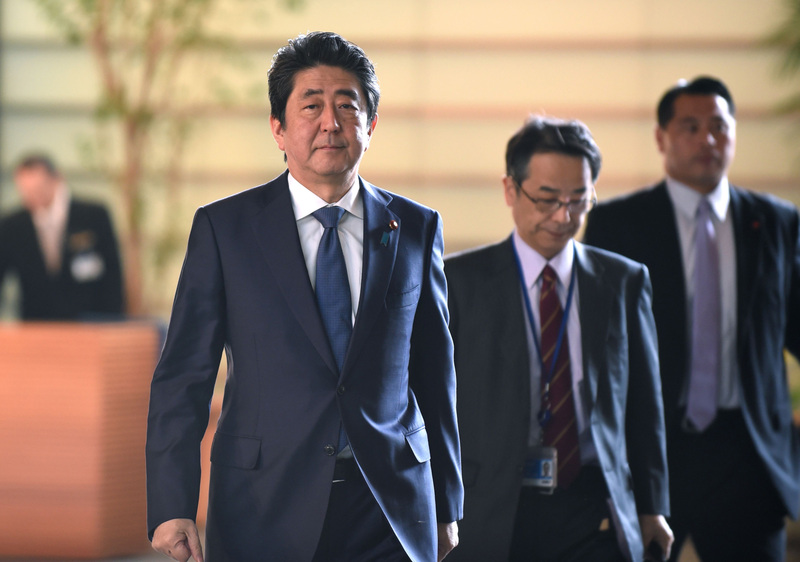 Most striking has been the Abe administration’s reluctance to criticize Myanmar for the ethnic cleansing of the Rohingya minority that is being conducted by the country’s military. Indeed, during a visit to the country in February, Kentaro Sonoura, a special advisor to Abe, stated that the “Tatmadaw [Myanmar’s armed forces] has an important role in consolidating democracy in Myanmar.” He also praised the countries’ ongoing defense cooperation. Japan’s Free and Open Indo-Pacific concept could constitute a positive contribution to the whole region if it genuinely offers a more principled and law-based alternative to China’s Belt and Road Initiative. For this to be the case, however, Tokyo must first demonstrate that its commitment to international law and democratic values is more than just a convenient fig leaf.